Pest Control In Frisco, TX: Are You Making Your Home A Bug Magnet? 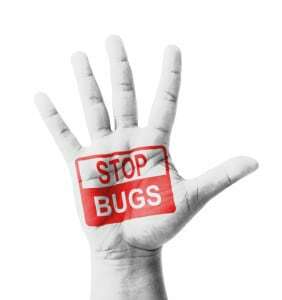 Experts in pest control in Frisco, TX know that bugs, like burglars, choose homes to invade that are easy targets. If you’ve noticed that your pest problems seem to be growing, take a look around your home to see if you’re putting out the welcome mat for termites, spiders, roaches and more. If the outside of your home is littered with debris and overgrown shrubs and grass, you’re asking for pest problems. A number of pests, from termites to rodents, live in the shade and cover of overgrown brush and yard debris; if the shrubs and debris are next to your home, it gives these intruders an easy way to move from the outside to the inside. Be sure to trim shrubs and trees that come into contact with the outside of your home, and clear debris away from the foundation. Check any rarely-used sheds or outbuildings for beehives and wasps nests. Most pests, even mice, can squeeze into very tiny openings to access your home, which means you should seal even the smallest openings. Apply weather stripping to all of your exterior doors; use caulk to seal windows, utility line access points, dryer vents, cracks in the foundation, fascia boards and wall boards. Check window screens to make sure they fit snugly, and look for tears. Put mesh screens over your chimney and over attic and crawlspace vents. When you call for pest control in Frisco, TX, the first thing they’ll advise you is to check for excess moisture around your home. Like you, pests need water to survive, so they’ll naturally be attracted to water sources like leaking faucets outside your home, leaking pipes under your home and water puddles under sinks inside your home. Call a plumber to fix any leaks in and around your home and be sure to move your air conditioner’s drain hose away from your foundation. Spiders and rodents love your clutter, especially if it’s in rarely-disturbed places like basements, attics and garages. Cardboard boxes, piles of newspapers and other mounds of unused belongings make great hiding places, so be sure to make a periodic sweep of your home, not only to look for pests, but to declutter and purge. In addition to water, pests need food, and if you’re neglecting to clean up food debris anywhere in your home, you’re ringing the dinner bell for them. Make sure to keep kitchen counters and floors clean of crumbs and dirt and wash dishes regularly. Store dry goods in airtight containers to keep out cockroaches and weevils. Re-bag or throw away pet food that might be left out overnight. Keep your indoor and outdoor trash in cans or containers with heavy lids and make sure the lids are always closed. No matter what measures you take, you’ll never be able to keep every pest out of your home. When you find yourself with a pst problem, call us at Safe Pro Pest Control in Frisco, TX at (972) 435-0700. You can also visit us online at www.safepropest.com to learn more about our services and to find valuable coupons.